Application Management is central to any successful IT shop, delivering innovative services to the business, but often ignored or resistant when an organization implements Service Management (ITSM). This webinar focuses on those ITSM processes that enhance the ability to manage applications successfully in today’s complex world of cloud, bring your own device and mobile technologies. It demonstrates clear benefits that Service Management provides from the strategic view as well as practical needs of day to day application management, including a look at how a program management office can set the stage for closer integration with the business to achieve the outcomes they desire. Phyllis has been delivering service and support for over 20 years, working closely with business executives on IT initiatives for the largest automotive group in the US. 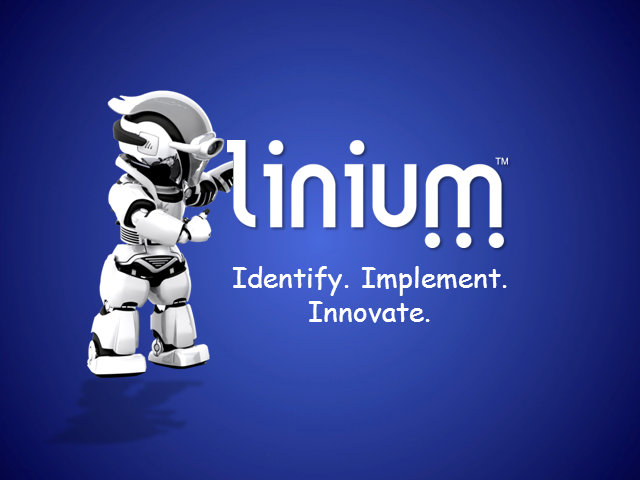 She is a frequent speaker, writer and industry leader in the IT Service Management Field and brings this expertise to her role as a Business Process Consultant for Linium. We’re all looking at ways to prevent vulnerabilities from escaping into our production environments. Why not require scans of your Docker images before they’re even uploaded to your production Docker registry? SHIFT LEFT! When your engineers get information about security vulnerabilities earlier, they're more efficient with fixes! Join Codefresh, as we demonstrate setting up vulnerability and compliance thresholds in a CI pipeline. We will show you how to give your teams access to your Docker images’ security reports & trace back to your report from your production Kubernetes cluster using Codefresh. With sensitive data residing everywhere and the breach epidemic growing, the need for application and data protection solutions has become even more critical. - Emerging Data Protection options for Public, Hybrid and Private Cloud. As organizations strive to transform themselves for the digital economy, application development is moving further into the spotlight - and right behind it is application security. So in 2019, AppSec can make or break a business. Instead of being overwhelmed by this pressure, there are tools and processes on the market that can help your application both meet and exceed business and security demands. From infrastructure-as-code models to API security and DevOps, learn from this panel of global experts how to harness knowledge and accelerate application release cycles, improve security and transform your business. Lloyds Banking Group is a financial services group with millions of customers and a presence in nearly every UK community, both online and on the local high street. With more than one million businesses serviced through their brands, the hopes for creating the bank of the future is firmly locked in the sights of this digitally transforming organization. In order to hit their ambitious goal, Lloyds Banking Group is changing from a traditionally introverted bank, hardened to risk through years of manual process, into an open and collaborative organization where innovation and experimentation are driven by engineering and automation. During this talk you’ll learn how Lloyds Banking Group journeyed into Inner Source with the formation of engineering guilds and how this lead to the adoption of GitHub Enterprise from proof of concept to widespread use. We’ll also explore how engineering guilds formed the GitHub Enterprise Working Group to share successes and educate on best practices, while safeguarding the operation of their engineering community. Finally, we’ll tell the story of how Lloyds Banking Group is moving fast toward Open Source, powered by the determination and ambition of Lloyds Engineering and the Lloyds Banking Group Open Source Mission. James McLeod is a passionate Software Engineer with a belief in open collaboration and a drive for growing engineering communities. James’ role as Software Engineering Lead at Lloyds Banking Group focuses on guiding the engineering community, listening to feedback, and removing barriers through leading and advocating for Lloyds engineering guilds and Inner Source collaboration. His energy and passion goes beyond the workplace where James is the founder of ‘React London–Bring Your Own Project’ – a rapidly growing London meetup, with over 1300 active members. You’ve probably heard many talks about DevSecOps and continuous security testing but how many provided the tools needed to actually start that testing? This talk does exactly that. It provides an overview of the open source AppSec Pipeline tool which has been used in real-world companies to do real security work. Beyond a stand-alone tool, the OWASP AppSec Pipeline provides numerous docker containers ready to automate, a specification to customize with the ability to create your own implementation and references to get you started. The talk will also cover how to add an AppSec Pipeline to your team’s arsenal and provide example templates of how best to run the automated tools provided. Finally, we’ll briefly cover using OWASP Defect Dojo to store and curate the issues found by your AppSec Pipeline. The goal of this talk is to share the field-tested methods of Aaron Weaver - If you want to start your DevSecOps journey by continuously testing rather then hear about it, this talk is for you. If you are deploying APIs, even private ones, you are leaving your revenue stream open to exploitation. APIs are a window into your business and if there is a way to make a gain from abusing that API, someone will do it. Worse, thousands of people or thousands of bots may do it. The art of keeping scripts and bots from abusing your APIs requires you to validate that the incoming traffic is coming from an authentic client. Merely authenticating users may not be appropriate or may not be enough. When the remote client is a mobile app and you know that mobile devices should not be trusted, achieving the authentication goal is easier said than done. This session will explain how Racing Post launched a feature-rich API and a new native mobile app and managed to protect their valuable data from API scrapers and their brand reputation from cloned apps. We will cover their experiences with bots, their approach to the problem and how they solved it. Whether you are a mobile or API developer, an enterprise system architect, or even a product owner with strong mobile revenue, you'll want to hear this story. Think a good user authentication solution is enough protection? Think again. Follow the ShipFast courier service’s evolving mobile app and API security defenses as it beats back malicious ShipRaider. As ShipFast launches its mobile app with hidden API keys and OAuth2 user authorization, we'll start discussing the existing security threats and how to counter them. Along the way, TLS, certificate pinning, HMAC call signing, app hardening, app attestation and more will strengthen ShipFast's security posture, but ShipRaider will be working hard trying man in the middle attacks, app decompilation and debugging, exploit frameworks, and other reverse engineering techniques to keep exploiting ShipFast's API. This fast-paced overview of mobile attacks and counter-measures demonstrates the defense in-depth techniques required to protect both your mobile apps and your API backends. Join us to hear about the hot new technology trends and topics in the world of cyber security and how Micro Focus tools can help you stay ahead of the game with your cyber hygiene. Robotic Process Automation (RPA) technology creates digital factories to automate and integrate any repetitive administrative tasks. RPA reduces labor-intensive processes by imitating human effort to complete tasks, thereby boosting the capabilities of companies that perform high-volume transactional processes. Operating non-invasively on the surface (UI layer) without compromising the underlying IT infrastructure, RPA bridges the technology gap between fragmented, semi-structured legacy systems. The RPA solution is based on industry leading products Operations Orchestration (OO) and Unified Functional Testing (UFT). During this session, you will learn more about this RPA solution with a live demonstration. Brought to you by the Vivit Application Performance Management Special Interest Group (SIG). After merging monitoring teams for consolidation and cost reduction opportunities, a larger retailer was faced with the challenge of merging the tools into one unified platform. We had two APM instances, both underutilized, that were good candidates to start with. The environments consisted of BSM 9.26 w/Oracle database and APM 9.40 w/SQL server. This webinar will walk through the deployment plan, problems, and successes we had along the way. Containers are a big trend in application deployment. The landscape of containers is moving fast and constantly changing, with new standards emerging every few months. Learn what’s new, what to pay attention to, and how to make sense of the ever-shifting container landscape. With sensitive data residing everywhere, organizations becoming more mobile, and the breach epidemic growing, the need for advanced identity and data protection solutions has become even more critical. Learn about Data Protection solutions for enterprise. Learn about the new trends in Data Masking, Tokenization and Encryption. Learn about new Standards for masking from ISO and NIST. Learn about the new API Economy and how to control access to sensitive data — both on-premises, and in public and private clouds. The contemporary code review practice has been adopted by many organizations and open source projects as a quality assurance measure. This process typically involves software tools such as Review Board and the time of one or more peer reviewers. However, there is a growing body of empirical research about this broadly‐adopted practice that can help us learn more about the effects of code reviews on software quality. Available research shows that in fact, peer code reviews are better suited for knowledge sharing and code improvements, rather than for eliminating code defects or reducing error rates. The effectiveness of the process seems to depend on the experience of the reviewer with the code, the size of the change set, and the rate at which the review is conducted. In this talk, Nikolai will share how the LinkedIn Flagship Product Engineering team leverages the code review process to spread organizational knowledge and uplevel individual contributors. I will also discuss the tools we’ve built to support this practice across a team which spans three offices, four development stacks, dozens of teams, and hundreds of individual contributors. Switching from Express to Serverless has completely transformed the delivery of Pilcro’s APIs over the past 6 months. It has offered reduced cost, out-of-the-box deployment/scalability/monitoring, and lightning fast development. This talk outlines why we made the switch with a demonstration of setting up your first Node.js API with Serverless and AWS Lambda. How fast can you build out a new security microservices? Building a security pipeline that scales with your development and operations team is achievable by creating security microservices that can be programmed in a variety of languages, cloud agnostic and infinitely scale. In this talk, Aaron will walk through the process of building a security automation pipeline starting with building containers in the first iteration and then moving to OpenFaaS to create simple Serverless functions. Building security automation into your program is essential in building out a scalable security services. The webcasts in this channel will highlight trends and best practices for the application development lifecycle as well as how to make sure your application maintain a steady level of service.